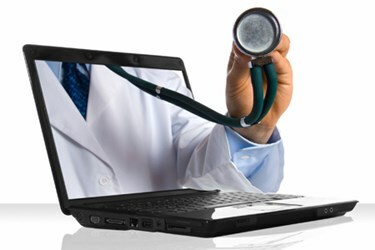 Telemedicine is the future of healthcare. According to the 2014 World Market for Telehealth report from HIS Technology, the number of patients using telemedicine will increase to about 7 million in 2018. Telemedicine solutions fall into two broad categories. Remote patient monitoring solutions use a wired or wireless connection to link home healthcare equipment (heart monitors, dialysis equipment, etc.) to the Internet and then securely report patient data back to a healthcare provider. Online or digital communications solutions, on the other hand, allow physicians to conduct consultations using a combination of text, voice, and video in lieu of actual in-person visits. For busy doctors, these capabilities can be immensely valuable tool in providing care efficiently and effectively. Optimally, in the case of an online video consultations, patients call the offices to schedule the e-visit the same way they would schedule in-person visits. Office staff then initiate the calls on secure devices (phones, tablets, laptops, etc.) via secure connections. The physicians can document the visits using standard processes and their electronic medical records systems. Patients can send digital pictures, when necessary, that can be attached to the records.